Bloomberg data show that Apple estimates that the 512 GB models of the iPhone XS and iPhone XS Max will generate approximately $ 218 profit per phone than the 64 GB basic models. Apple calculates a $ 350 premium for the 512 GB model, but the report claims that the jump in storage costs Apple $ 132 in memory component costs. Higher storage options are an easy way for Apple to increase the profitability of its devices and it is a tactic that the company has been using for many years. With the 2018 line it is pushed even further on that path. Until last year, the iPhone 8 and iPhone X cycle, it was normal that Apple offered iPhone models in three storage SKUs, in increments of $ 100 for each jump. This meant that you would spend $ 200 on top of the basic model price to get the maxed out model. In 2017, Apple offered only two storage levels: 64 GB and 256 GB. The price jump from 64 GB to 256 GB, however, was $ 150. Bloomberg says that Apple has made approximately $ 107 profit for customers who opted for the 256 GB storage option on iPhone 8 and iPhone X. 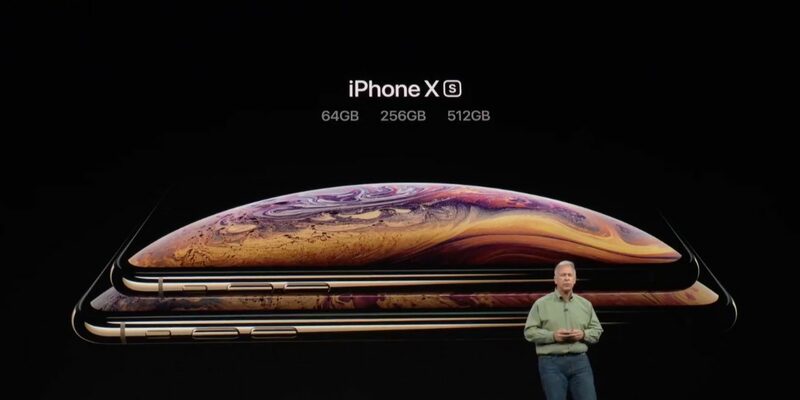 With iPhone XS it costs $ 150 to go from 64 GB to 256 GB and another $ 200 to go from 256 GB to 512 GB. Apple earns $ 134 more on a 512 GB unit than a 256 GB model, and about $ 218 more compared to the 64 GB base model. Because of the simple calculation, the more expensive level of 512 GB means that Apple earns more money than ever on the very best models. NAND flash costs have also reportedly declined this year, but Apple has not passed these savings into the customer's prices. The cost per gigabyte is also slightly higher than what Samsung charges on its phones. The iPhone uses a NAND flash memory to store photos, video clips and most software. The market price of this part is about half of what it was a year ago, according to data from InSpectrum Tech. But Apple does not pass on the savings to consumers: the burden of 78 ¢ -per-gig has not dropped since last year. Of course, Apple uses contracts to record the price of components such as Nand flash, so it may not yet benefit from the recent price drops. So far, however, storage costs customers more on an iPhone than, for example, a Samsung Note 9. Samsung Electronics Co. charges 65 ¢ a gig to switch from the 128GB Note 9 phone to the 512GB model. Apple does not publicly share the mix of iPhones, so it's not clear what part of the buyers actually choose the most expensive models. It is also worth noting that these numbers exclude related development costs, such as the more advanced memory controller in the A12 chip or any required changes to the iOS software. However, these costs are probably negligible.